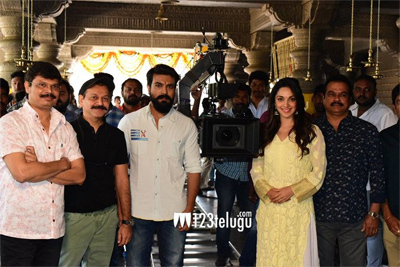 Following the record breaking success of Rangasthalam, Ram Charan is all set to kick-start shooting for Boyapati Srinu’s action family entertainer. The film has already wrapped up a couple of crucial schedules. Kiara Advani plays the female lead in the movie. Meanwhile, the latest reports reveal that Charan is going to join the sets from April 21. Charan has been working on his physique under a Bollywood fitness trainer’s supervision. Charan and Boyapati are joining hands for the first time and expectations among fans are quite high. This as-yet-untitled film features an ensemble cast, comprising Bollywood star Vivek Oberoi and Tamil actors Prashant, Sneha and Ananya in crucial roles. DVV Danayya is bankrolling the movie with a lavish budget.